The Brilliant Cut Grinder’s Coarse Plate is designed to grind your herb in the gentlest way possible. This ensures that your herb retains its taste and smell. It produces a uniform, fluffy, coarse grind that is perfect for burning or vaporizing. Out of the 3 available plates, the coarse plate requires the least amount of force to use, is the gentlest your herbs and grinds the fastest. 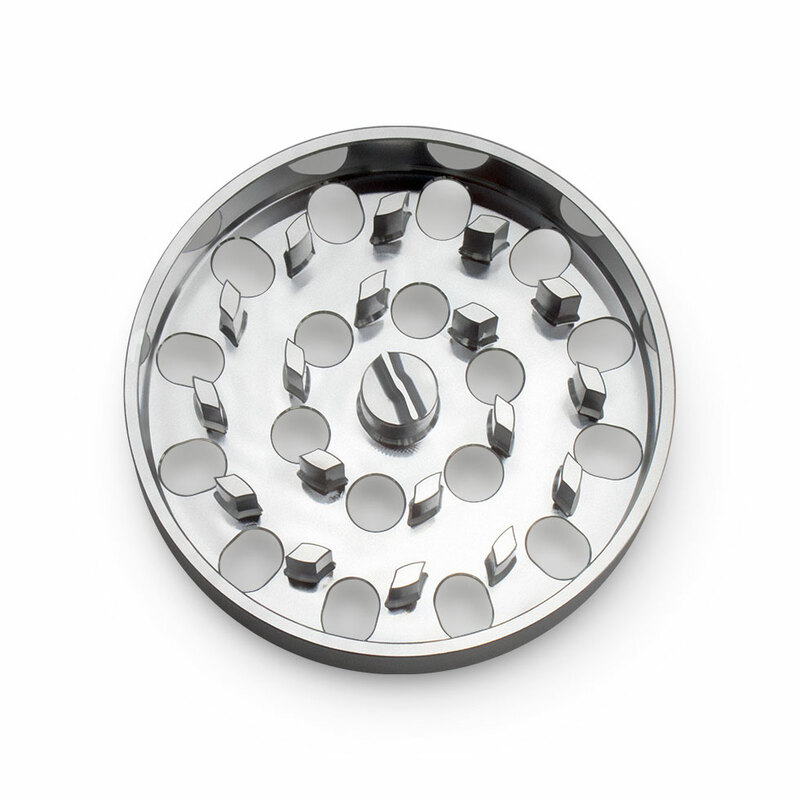 All the grind plates are interchangeable, so you can change your grind size in an instant. Buy all 3 to maximize the versatility of your Brilliant Cut Grinder.